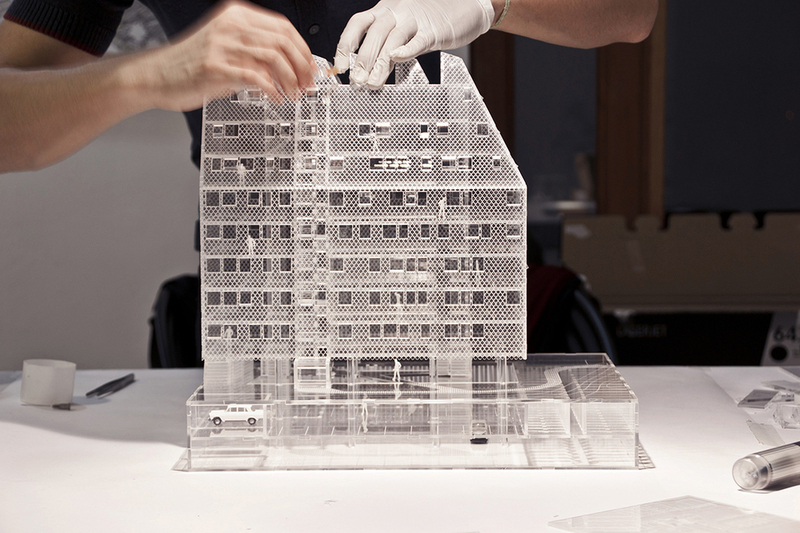 Assignment by aceboxalonso studio for a scale model of a social housing in Madrid. All made by 3mm Laser-cut & screenprinted Methacrylate plates. (Published on afasia).